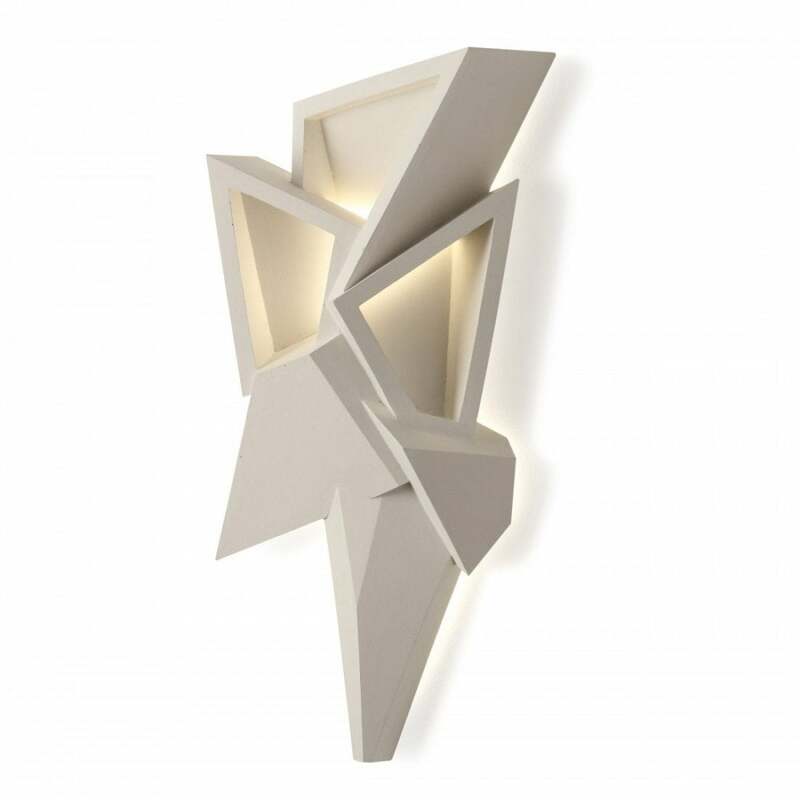 A piece defined by its clean linear angles, the Geode Wall Light was named so because of its likeness to the formations found in volcanic rocks. The design was actually inspired by the architecture of several modernist buildings and is reminiscent of a skyscraper in a city scape. Standing proud, are 3 geometric, open facets which allow light to escape from subtle cut-out 'windows'. Available in Bronzed and Plaster White.